Mega Sale! Save 28% on the Zippo Harley-Davidson bar & Shield High Polish Chrome Pocket Lighter by Zippo at Smart Survival Supply. MPN: 29500. Hurry! Limited time offer. Offer valid only while supplies last. This harley-davidson windproof lighter is Lustre etched with the harley bar & Shield Logo. Comes packaged in an environmentally friendly Gift box. 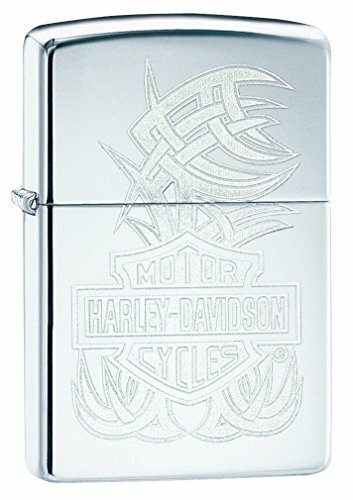 This harley-davidson windproof lighter is Lustre etched with the harley bar & Shield Logo. Comes packaged in an environmentally friendly Gift box. For optimal performance, fill with Zippo premium lighter fluid.